Its back. Marvel’s Agents of S.H.I.E.L.D. second season was aired last night on Channel 4 at 8pm. I followed the first season which had a slow start (agent May and Skye was enough reason to continue watching) and it gradually became better, especially towards the end of the season but it still wasn’t a “must watch” contender for me. So naturally, I wasn’t exactly hyped for the second season, I wasn’t sure whether my invested time in another season of AoS would pay off. Especially when they had a spoiler for Captain America 2 in the first season. Luckily, I caught the first episode. It was very impressive. Full of action and goes straight into the main story. I guess now that we’re familiar with the characters and story, the second season was able to just dive right into it. The first episode set a very good expectation for the rest of the season. 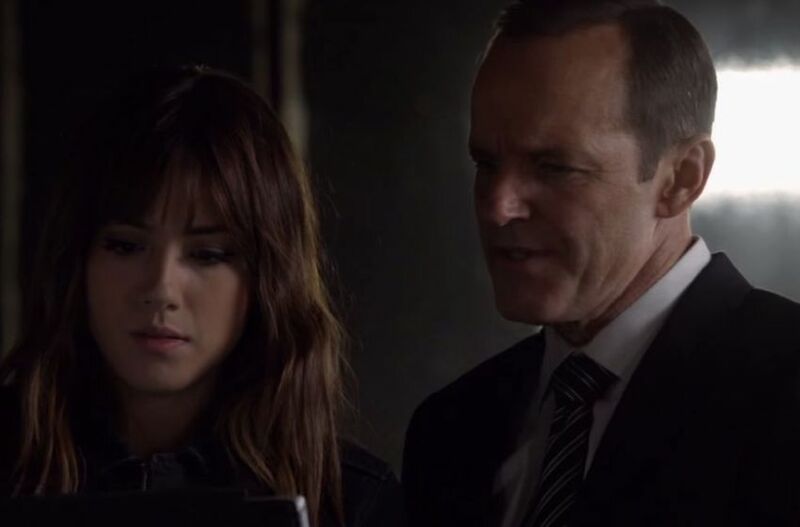 I really like how much Skye has developed as a field agent (and her suit); the scene between her and Ward was really good too – can we trust him, can we not? The only thing I think is real is his feelings for Skye. But the best bit was the big reveal about FitzSimmons. I won’t ruin it and I will only say it was a brilliant move and makes me look forward to future episodes to see if anything changes. Tags: Agents of S.H.I.E.L.D., Marvel's Agents of S.H.I.E.L.D., TV seriesCategories: ME!